Such remedies are typically hair-of-the-dog mixtures, known variously as “eye-openers,” “anti-fogmatics,” “corpse revivers,” and “morning glories.” In fact, it’s hard to see the difference between one of these pick-me-ups and the standard cocktail, which was basically a convenient invention for covering medicinal bitters with sweetened spirits to make them more pleasantly palatable. One of the most famous of these “medicines” is Harry Craddock’s Corpse Reviver #2, from his Savoy Cocktail Book . There are other remedies in the Savoy , though, including one I wasn’t familiar with until recently, called, appropriately enough, the Morning Glory Cocktail. Stir first six ingredients with ice until cold, and strain the mix into a rocks glass. Optionally, top with soda to taste. Express and garnish with lemon peel. 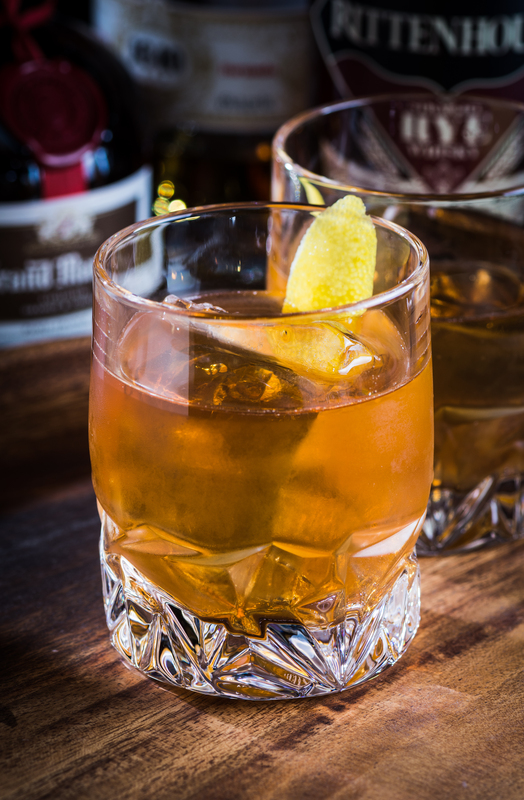 Whiskey and brandy are a great cocktail combination, as we’ve seen before in the Vieux Carré and the Saratoga. The original formulations probably used rye whiskey as the base spirit. Bourbon also works in the Morning Glory, particularly if you stick with high-proof, high-rye bourbons, which stand up well to the other ingredients. 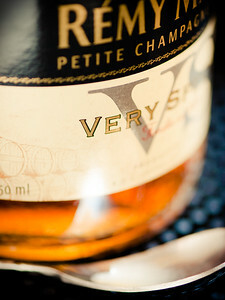 As always, use a decent, VS-level or better brandy or cognac. The original recipes all call for a soda topper—“soda to fill,” as they put it. A splash, perhaps an ounce, lightens the Morning Glory a bit and gives it a pleasant sparkle, but “soda to fill” is certainly too much, and serves merely to water down the otherwise rich and complex flavor of the drink. The Morning Glory works perfectly well with no soda at all; the resulting drink is a short, complex, and classic cocktail styling. The modern trend is to use absinthe as a wash on the glass, where it has more effect on the nose than the palate. It’s likely that bartenders originally included the absinthe directly into the mix—early recipes list both the curaçao and the absinthe in “dashes.” I prefer the old school approach here, to include the absinthe in the mix; the anise and fennel become elements of flavor more than scent, and the nose is more about the lemon twist, which provides a nice citrus brightness. The sip is first whiskey, then brandy, and there is finally a bit of sweetness in the swallow. Absinthe and whiskey return and linger in the aftertaste. The Morning Glory makes a fine alternative to other “morning” drinks—the ones we usually associate with holiday brunches, like the Champagne Cocktail or the ubiquitous Bloody Mary. It is one of the few “brown spirits” morning cocktails, and it will certainly stand up to a celebration as well as its more famous brethren. The Morning Glory is a great cocktail, elegant and complex, and a worthwhile spin on the basic Old-Fashioned. It’s a classic with a story, and will stay on my list of good ways to start a meal, whether it be morning or evening, or anytime in between. But as for the Morning Glory’s identity as a hangover cure, I doubt it very much. I’m skeptical of hangover cures in general, but given the proportion of liquor in this one, I’d say it’s from the school of thought that says the best approach to getting over a drunk is to get drunk again. I’m getting way to old to fall for that. Hangovers have been around forever, and will stay around forever, and we’ll just have to tough it out. “Hair of the Dog: the Morning Glory Cocktail” at cold-glass.com : All text and photos © 2016 Douglas M. Ford. All rights reserved. Great post, and good thing to read with my morning coffee. I read somewhere that the reason people get hangovers isn’t because they drink, but because they stop drinking. :) I don’t buy that one, but it sounds good. This was a new drink for me, so I may have to give it a whirl. I had my first Old-Fashioned in New Orleans about 15 years ago at the bar at The Commander’s Palace, and I have happy memories of the place and the cocktail. Thanks for this post – informative and fun to read. I’m beginning to think that the Old-Fashioned is the greatest of all cocktail models—simple, robust, and endlessly modifiable. I’m glad you enjoyed the post, and hope you enjoy your Morning Glory.